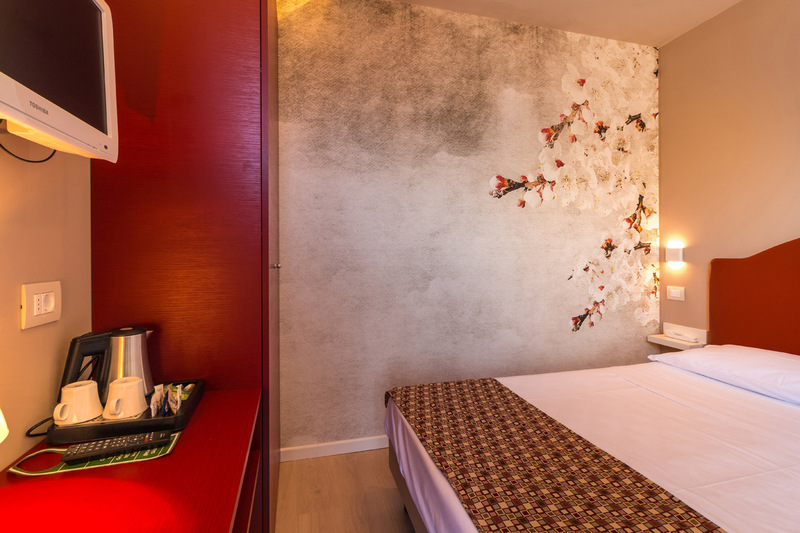 You can save 3% on your booking here! 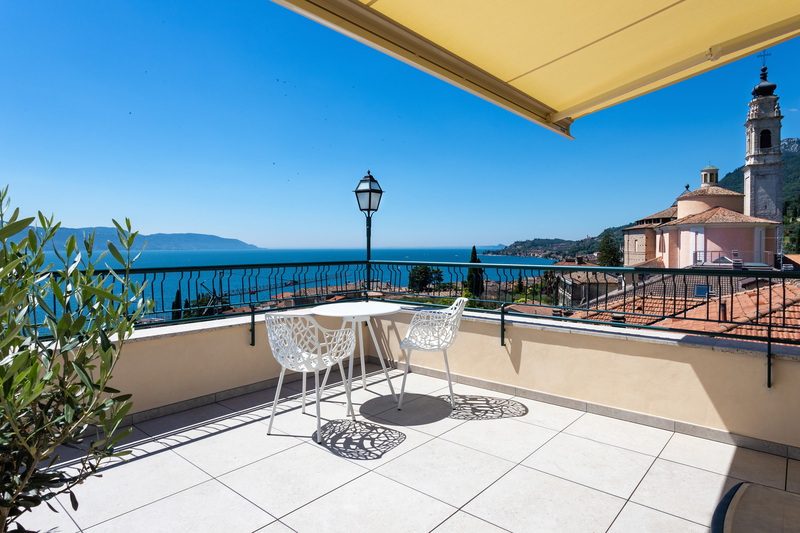 13/16 sqm – Garden view without balcony. 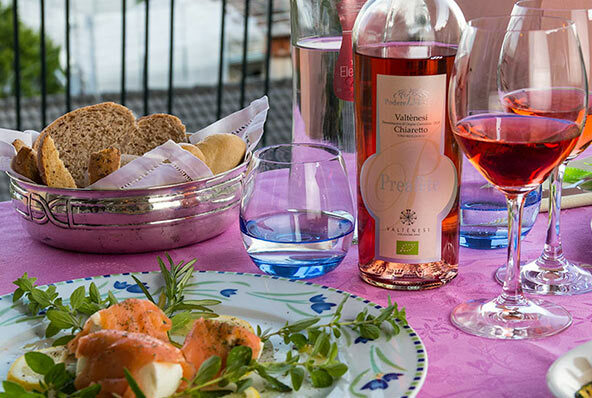 The basic, budget option, as simple and delightful as the flower whose name it takes. 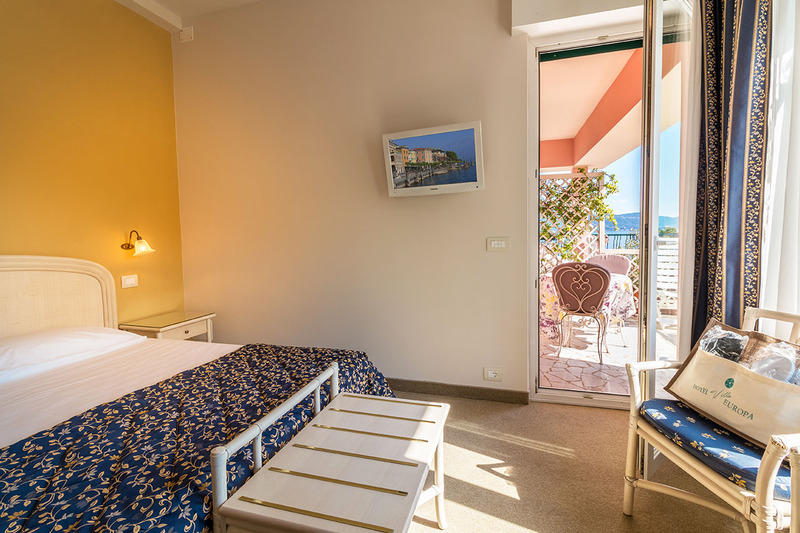 Located on the ground floor with partial lake or garden view, it has a bathroom with shower, hairdryer, courtesy set of olive oil-based beauty products, fan, satellite TV, WIFI. 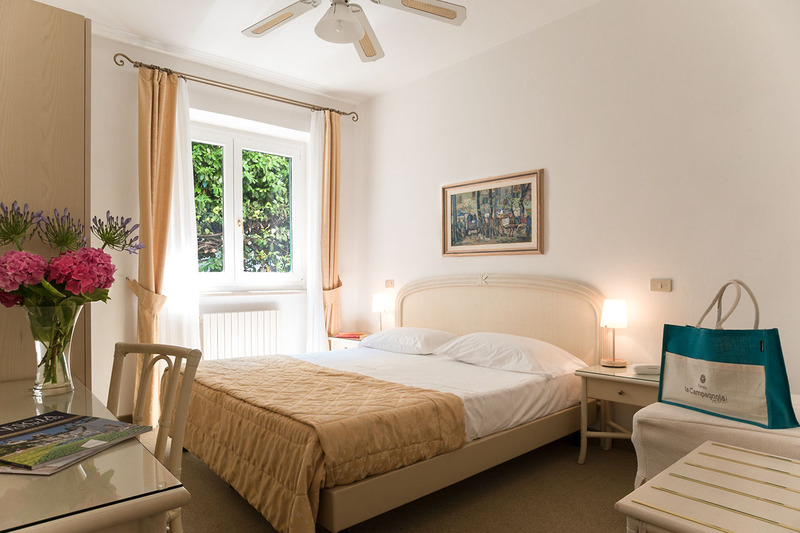 Geranium Classic is the only non-air-conditioned room. 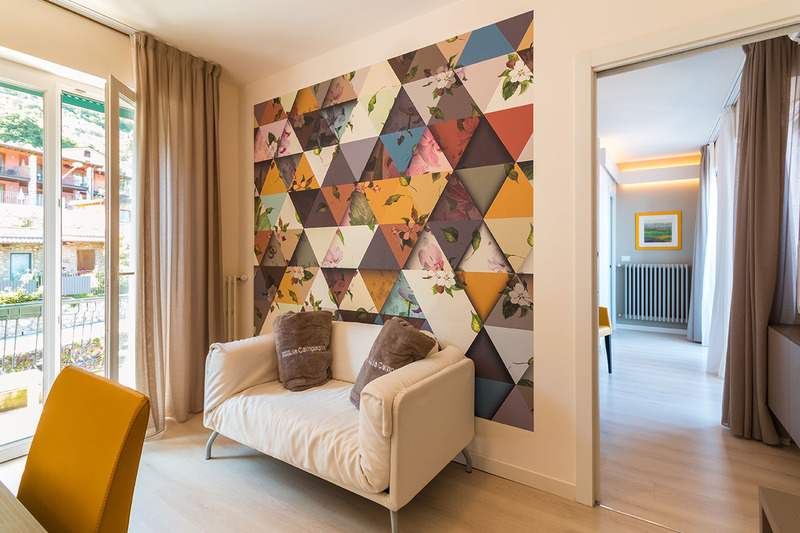 16/19 m² – Mountain view. 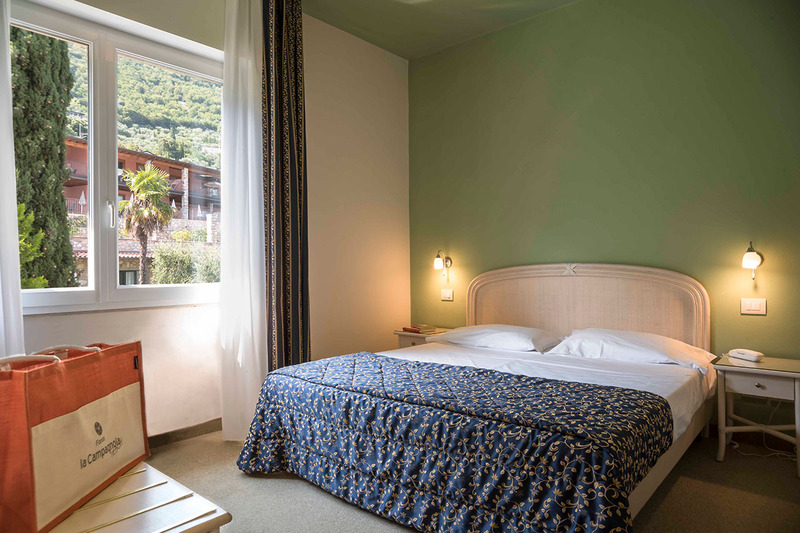 Comfortable room, can be on the first or second floor with a beautiful view of Comer Mountain. 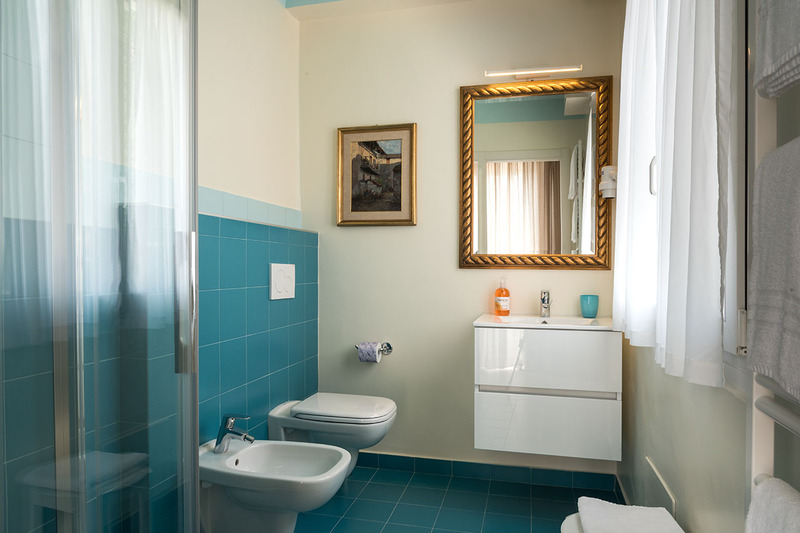 Equipped with a bathroom with shower, hairdryer, courtesy set with excellent quality local olive oil beauty products, fan, satellite TV, WIFI. 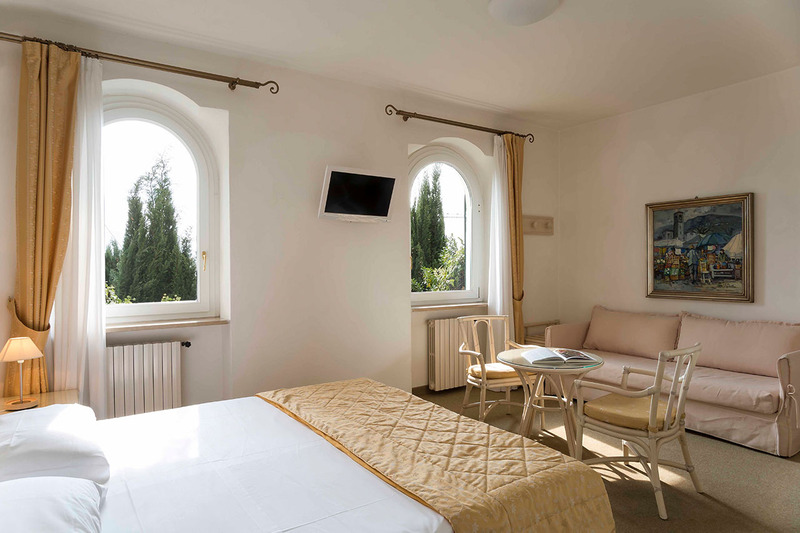 Comfortable room on the first floor, completely renovated, with a balcony overlooking the Comer Mountain. 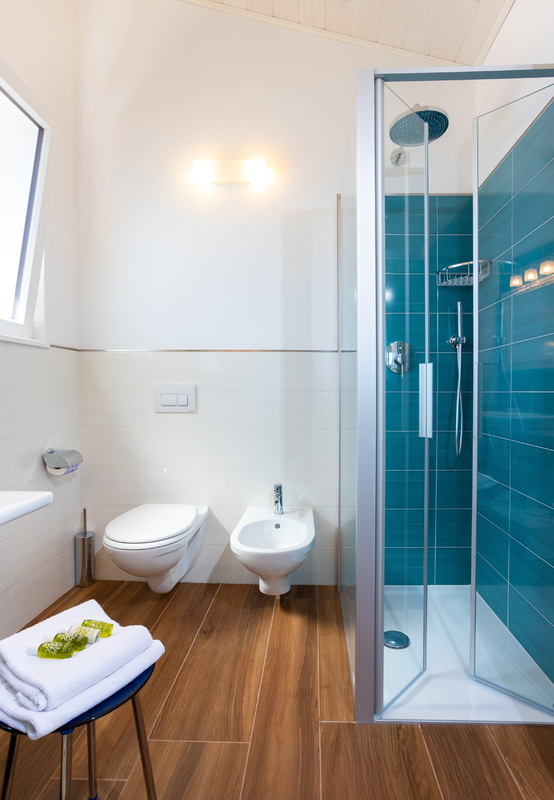 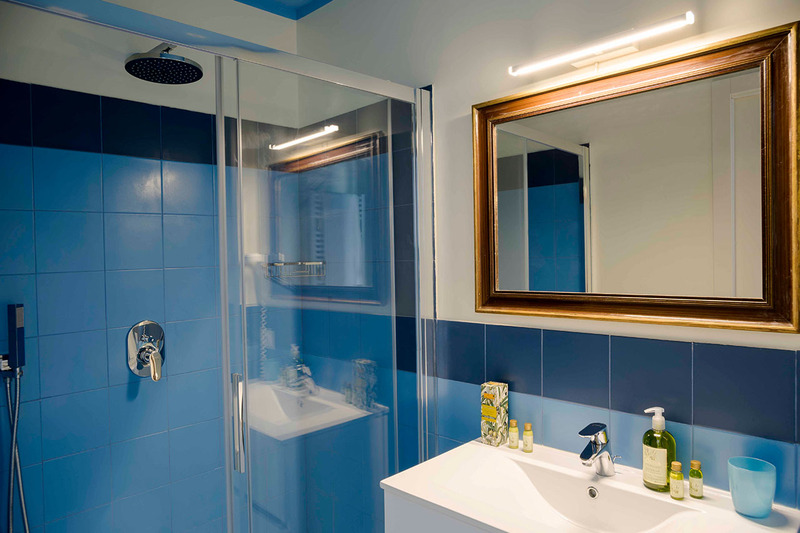 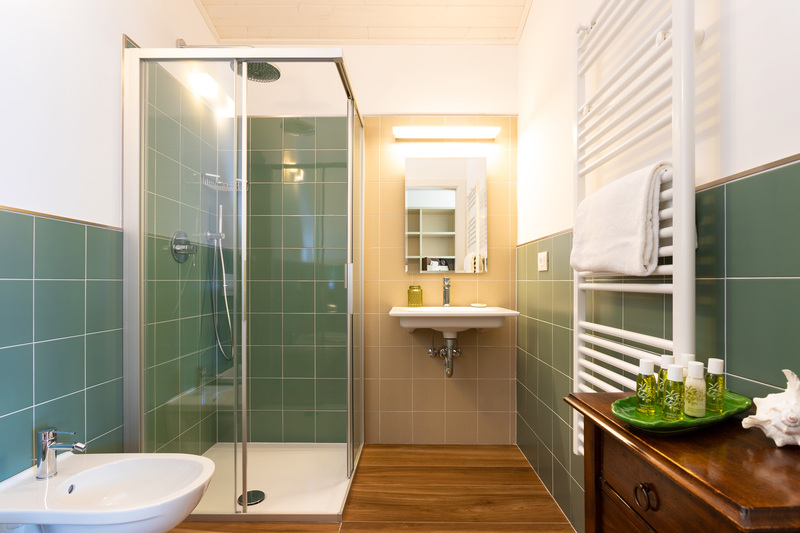 Equipped with a bathroom with shower, hairdryer, courtesy set with excellent quality local olive oil beauty products, fan, satellite TV, WIFI, air conditioning. 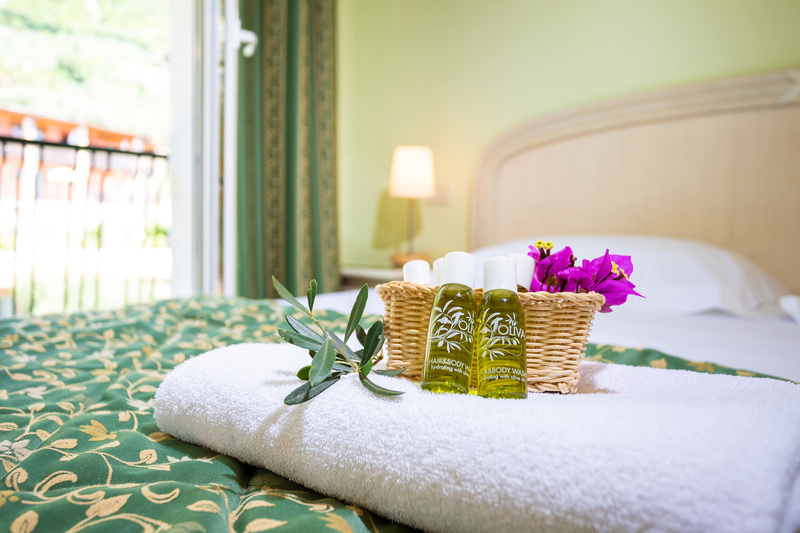 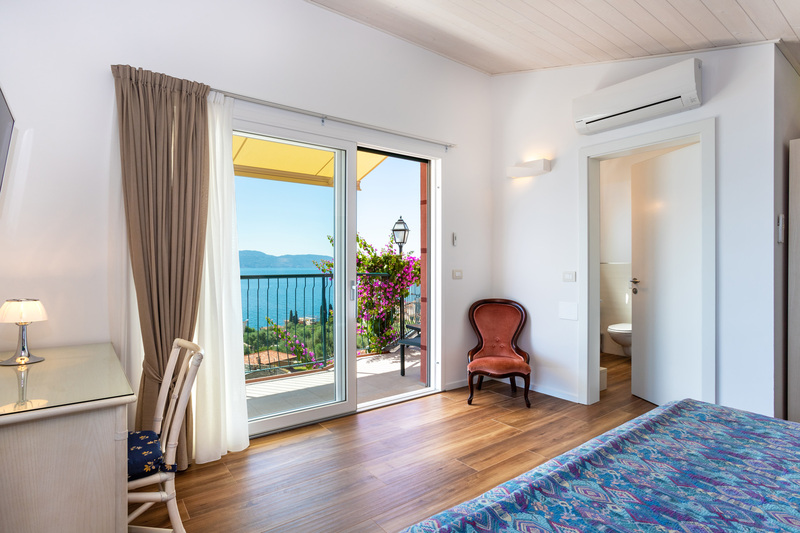 A lake-view room, equipped with a bathroom with shower, hairdryer, courtesy set with excellent quality local olive oil beauty products, satellite TV, WIFI, air conditioning. 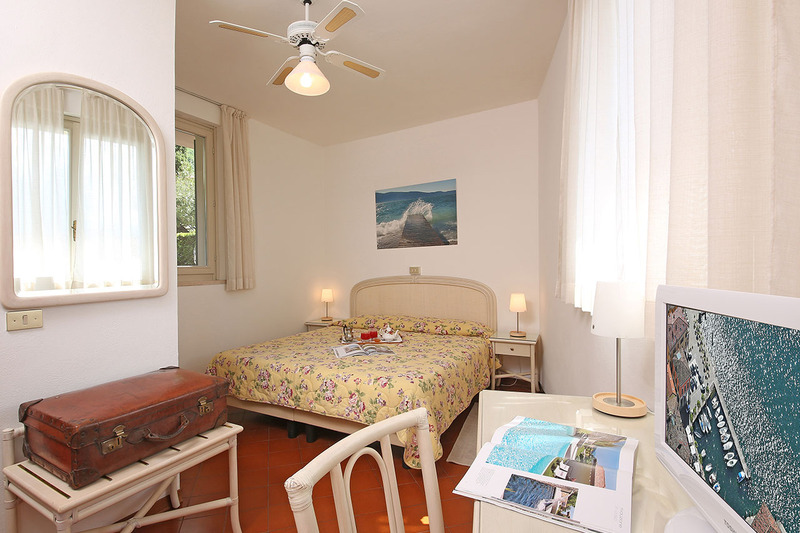 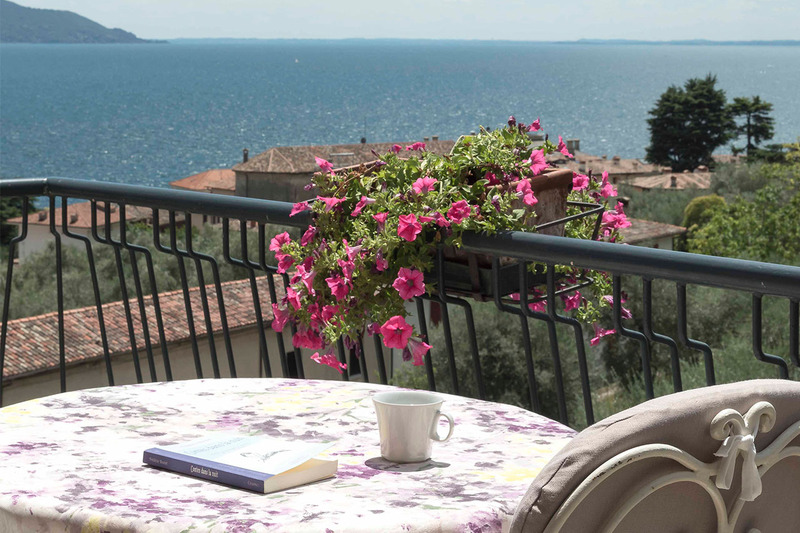 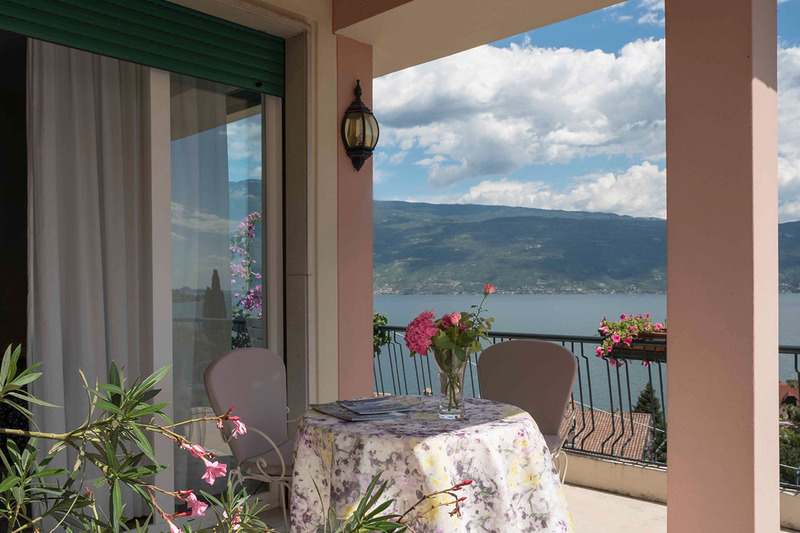 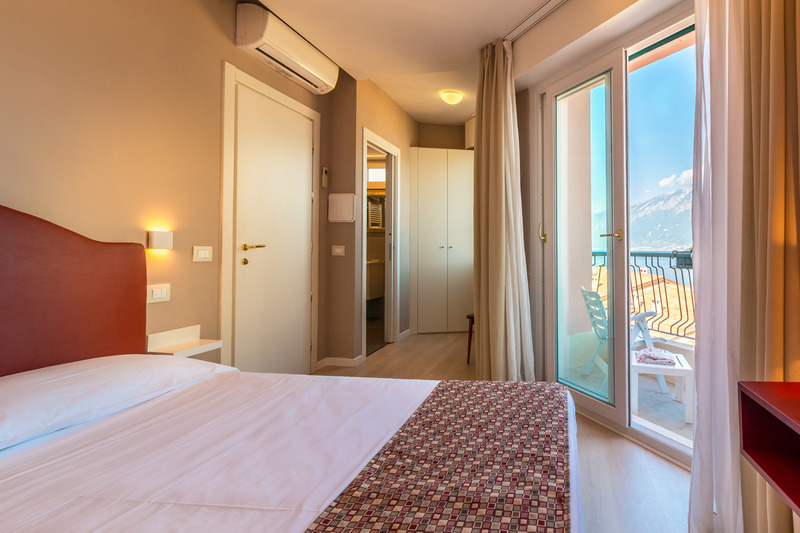 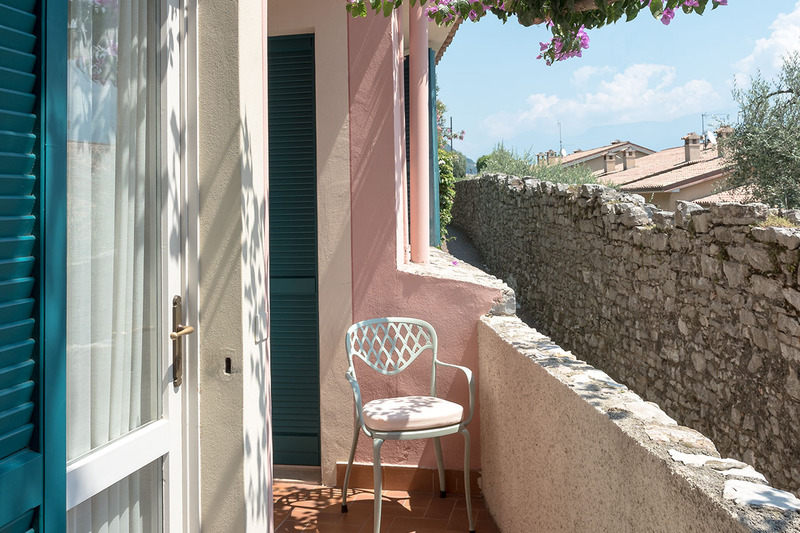 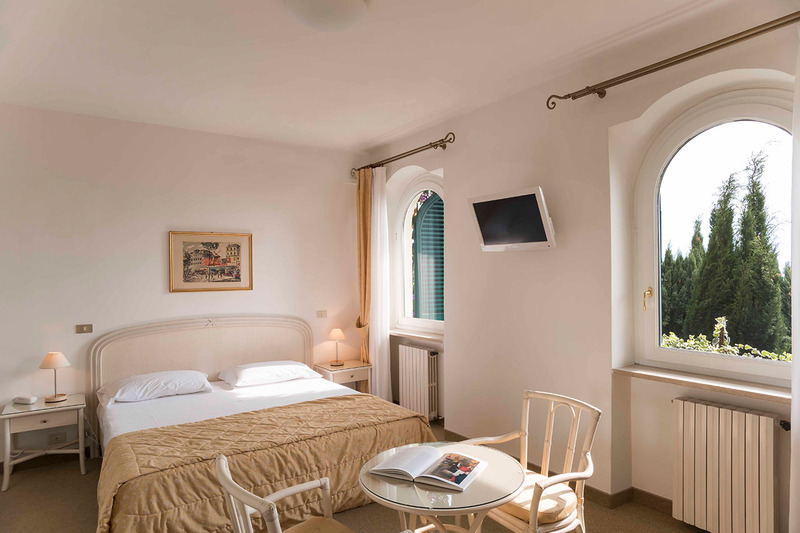 Comfortable room with wonderful side lake view and balcony, with beautiful bouganville flowers. 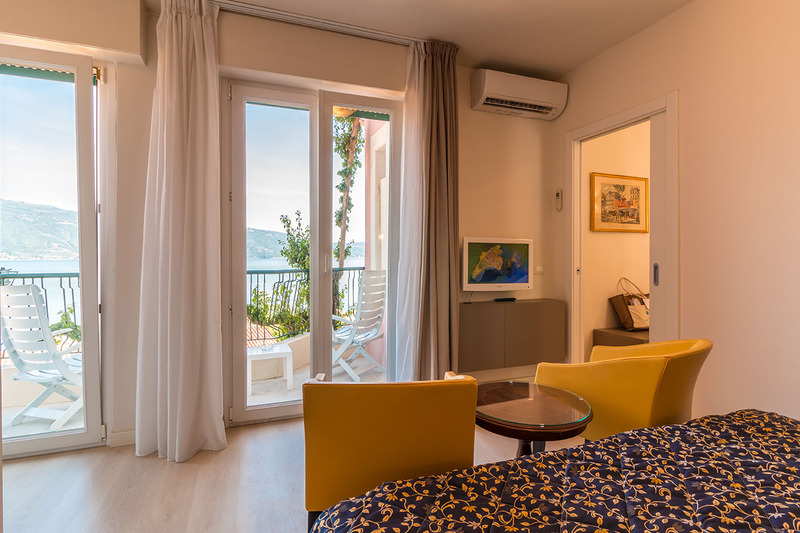 Equipped with coffee and tea facilities, minibar, air conditioning, bathroom with bathtub or shower, hairdryer, courtesy set with premium local olive oil beauty products, satellite TV, WIFI, air conditioning. 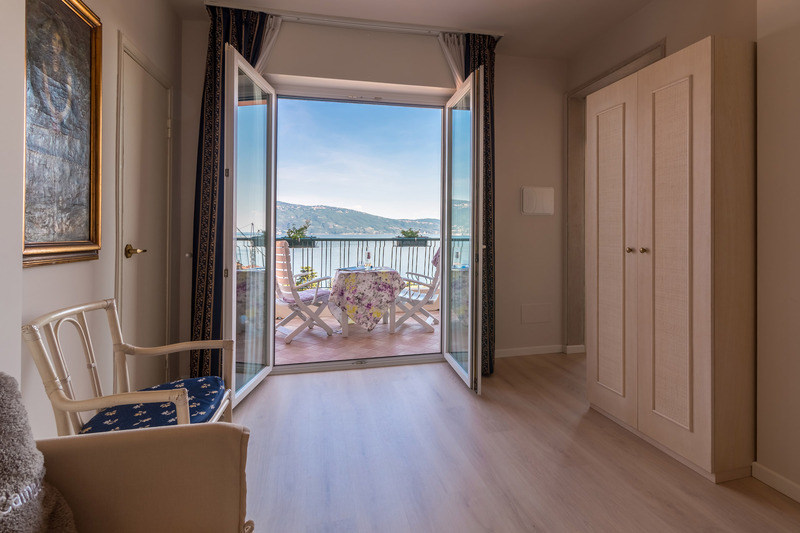 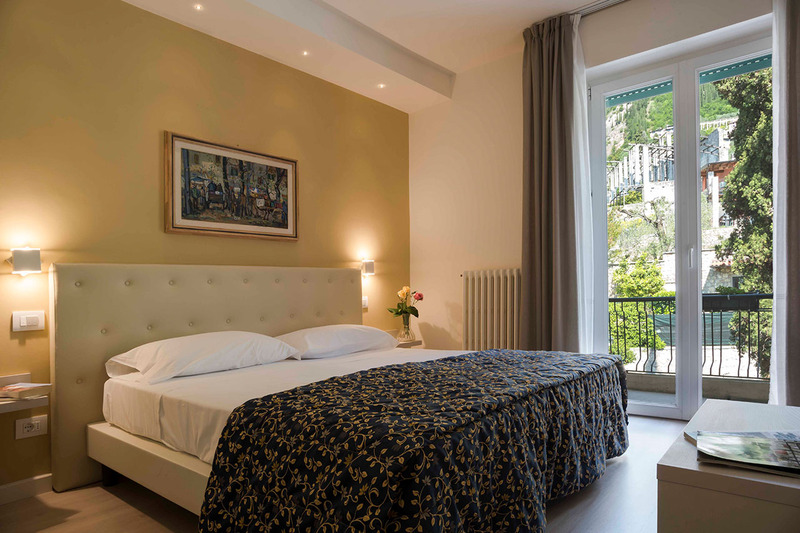 Bright, renovated room with plenty of light and a striking lake view, with a balcony. 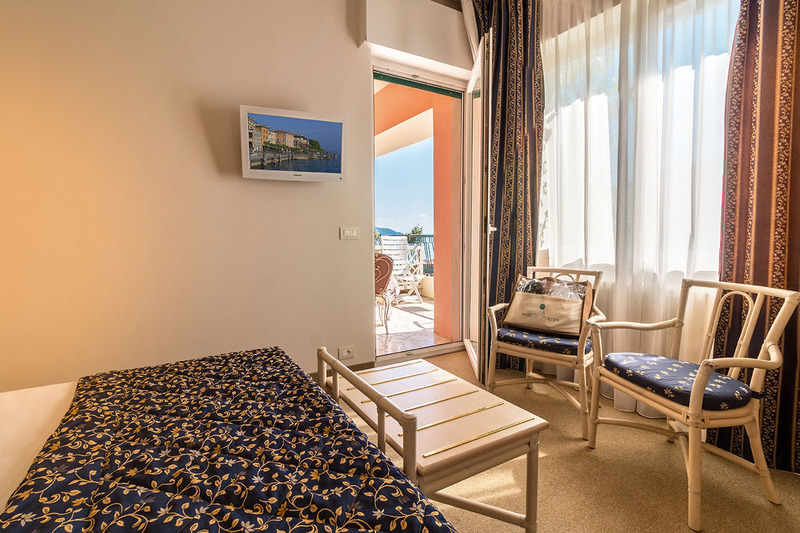 Equipped with coffee and tea facilities, minibar, air conditioning, bathroom with shower, hairdryer, courtesy set with premium local olive oil beauty products, satellite TV, WIFI, air conditioning. 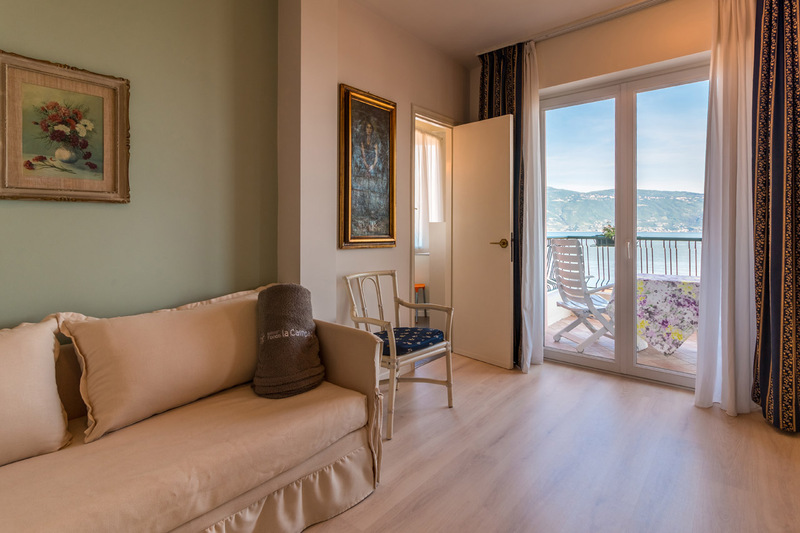 Bright room with charming lake view and large balcony framed by bougainvillea flowers, and sitting corner with sofa. 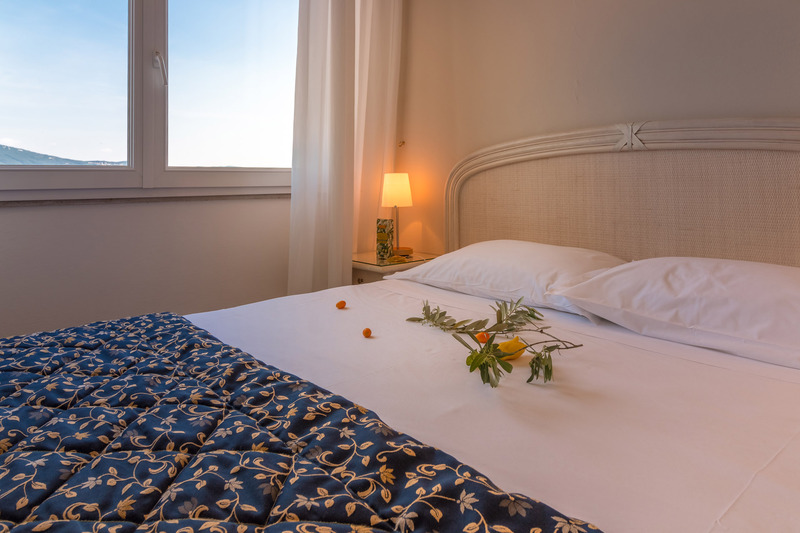 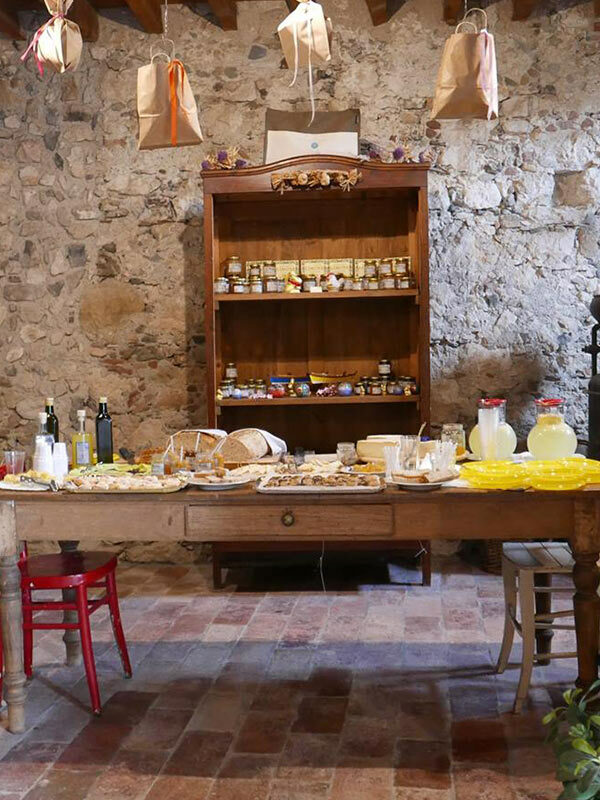 Equipped with coffee and tea facilities, minibar, air conditioning, bathroom with shower, hairdryer, courtesy set with premium local olive oil beauty products, satellite TV, WIFI. 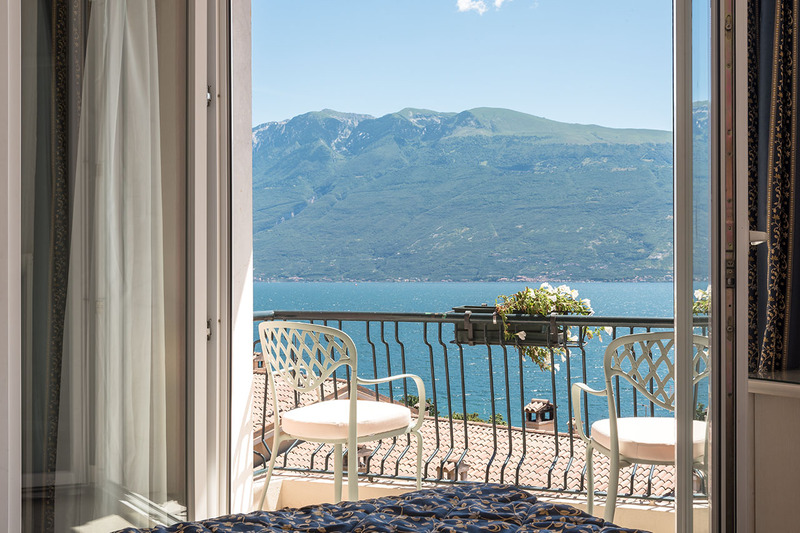 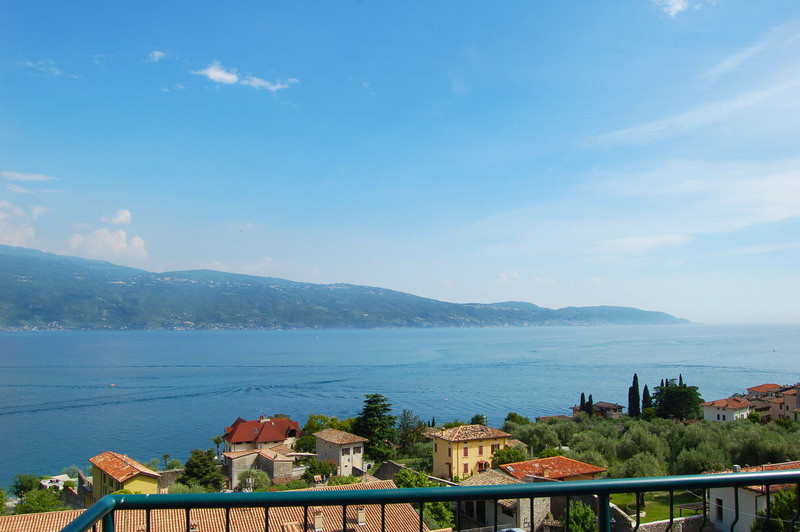 Elegant newly renovated suite with direct lake view, furnished balcony and living area. 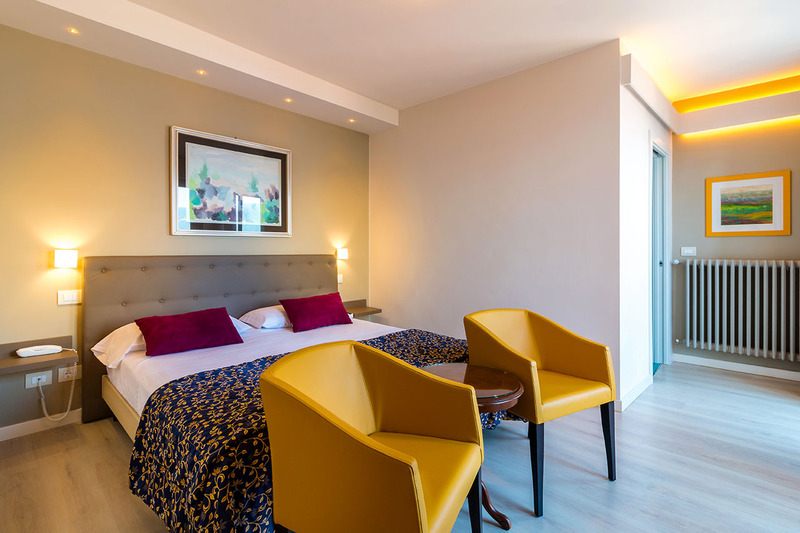 Equipped with a minibar, tea and coffee facilities, air conditioning and bathroom with shower, hairdryer, backlit makeup mirror, towel warmers, courtesy set of olive oil beauty products, satellite TV, WIFI. 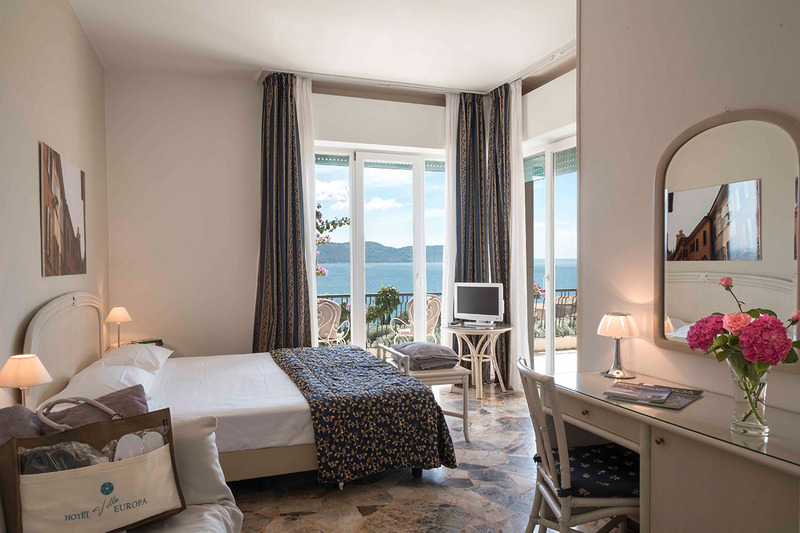 The new Junior Suite is situated in the most panoramic part of the Hotel and has a large balcony with amazing lake view. 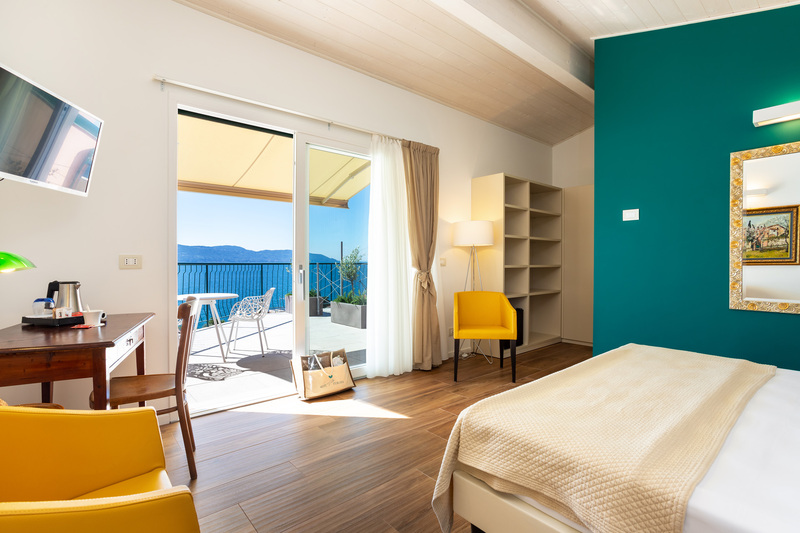 Equipped with a minibar, tea and coffee facilities, air conditioning and bathroom with shower, hairdryer, backlit makeup mirror, towel warmers, courtesy set of olive oil beauty products, satellite TV, WIFI. 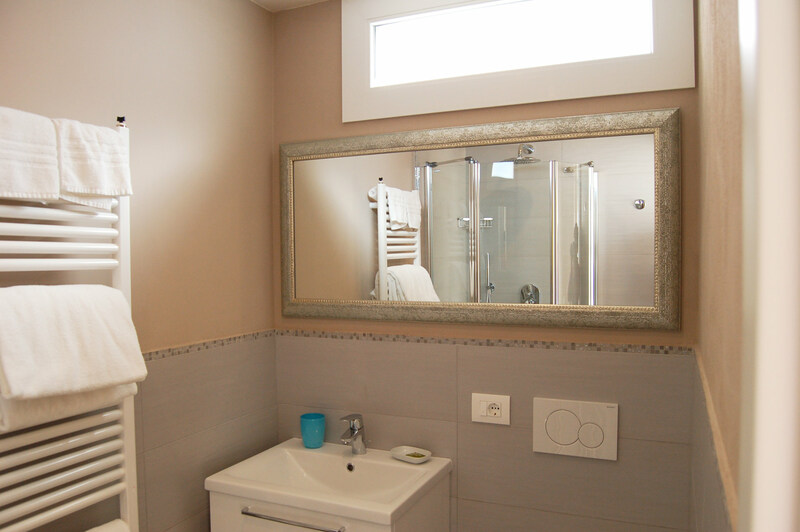 100% discount for children up to 2 years.